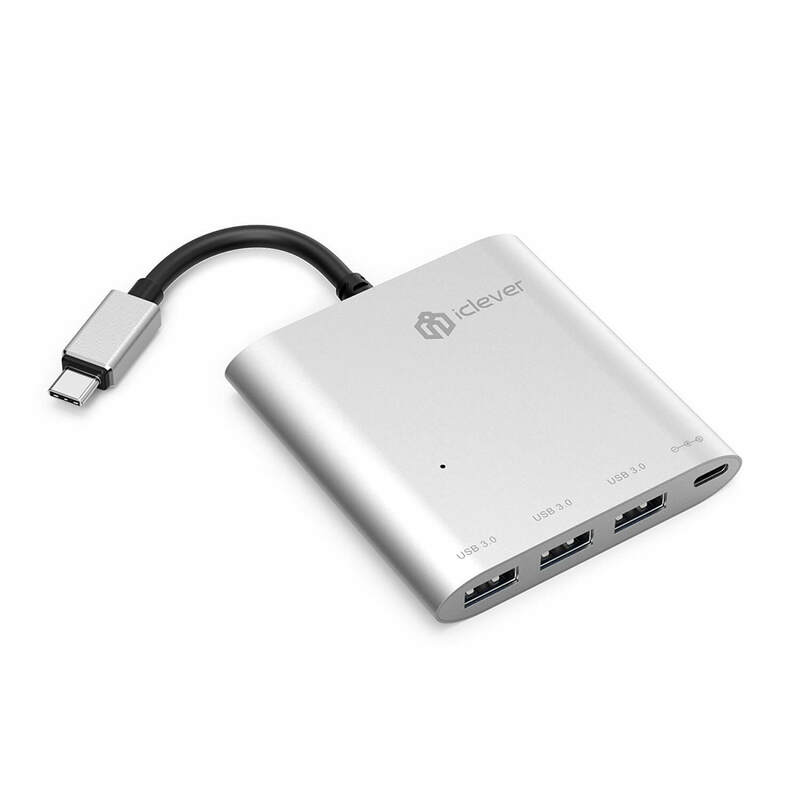 Today’s Deal is from iClever and it is on the handy multi-port USB-C adapter. Right now you can pick it up for $12.99 if you use the coupon code 83NS2PT5 when you check out. Normally it is $19.99 for the adapter. It connects to a USB-C port on your Chromebook or Macbook and gives you three additional ports: 1 USB-C and 3 USB-A 3.0 ports. That means that you will get about 5GB/sec throughput with this adapter and it gives you the extra ports you need. The multi-port adapter is made to last with an aluminum casing and durable, hardened cable to connect it to your computer with a USB-C port. That said, it is still backed by a lifetime guarantee and since the deal is through Amazon, you have a 30 day return policy if it doesn’t meet your needs. To get this special pricing, you must use the coupon code above. This will be entered when you star the checkout process on Amazon. For those of you who have Amazon Prime, you will get free shipping on Today’s Deal on top of the coupon discount. To check out the full details on the adapter, head over to Amazon. Special thanks to the team over at iClever for the coupon code for ClintonFitch.com readers!